Tamrat Gezahegn was a founding member of Netsa Art Village in Addis Ababa, which was a dynamic space for nurturing contemporary art in Ethiopia. He has had numerous solo and group exhibitions both nationally and internationally. His diverse practice incorporates painting, performance and installation. 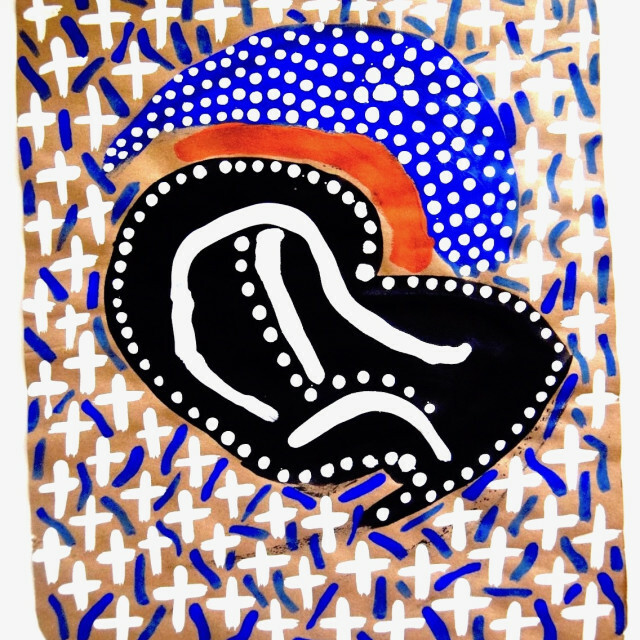 His current body of work is based on research into indigenous knowledge and his meditations. He invites his audiences to join him on the journey of discovery. In 2014, his work was part of the ‘Africa Now’ auction at Bonhams in London. In 2016, he had a solo exhibition, ‘Connecting the Dots’ at Tobya art Gallery in Washington, USA and in 2017, he had a solo exhibition at Lela Art Gallery, Addis Ababa, Ethiopia.